After waiting for nearly 20 minutes last night, I gave up trying to find a match of Tiny Racers. 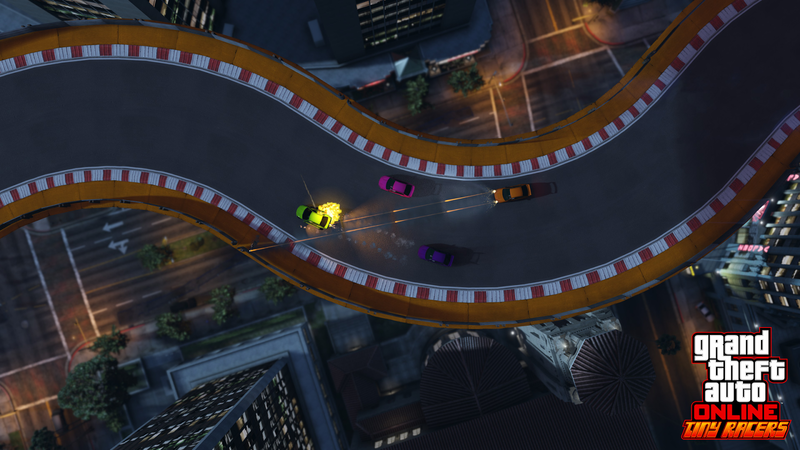 The mode, which recreates the feeling of driving RC cars, was added to GTA Online last year. Nobody plays it anymore. Actually, nobody seems to play most GTA Online modes. It's becoming a problem. 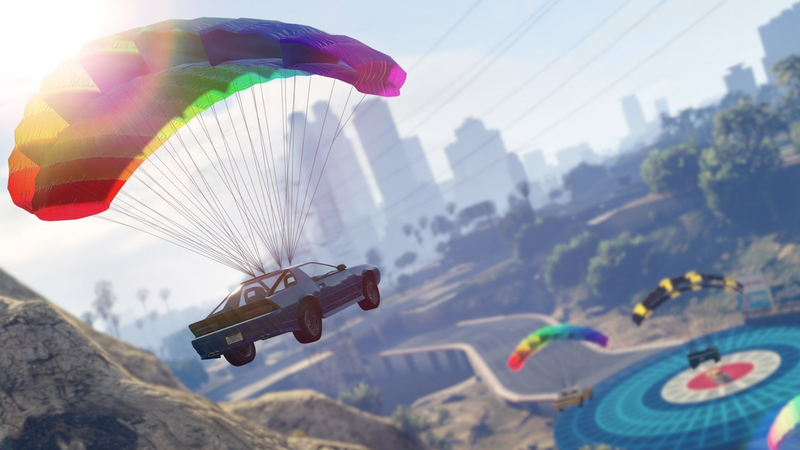 GTA Online just had its most active month ever. It is consistently one of the top-selling games on Steam, Xbox and Playstation. It is always in the top 10 of the best selling games each year. The community is huge. Yet players looking to play a wide variety of modes modes will have trouble finding anybody to play with or against. The problem, paradoxically enough, is an overabundance of content. 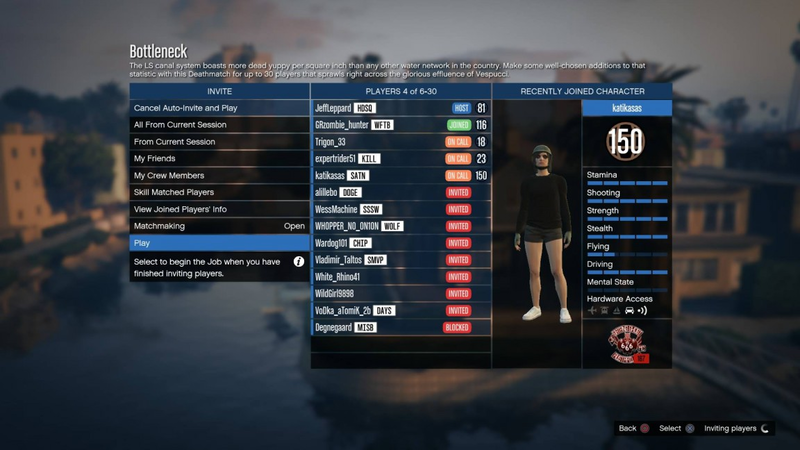 GTA Online has a huge variety of things to do, including missions, races, heists, and deathmatches. When the game first launched, this variety was great. But the game has only gotten bigger. Now, after four years and dozens of updates, GTA Online almost feels too big and empty. The player base has spread out across too many jobs and events, making it hard to play anything but the latest new thing. This list doesn't include biker activities, CEO missions, heists, public events, user-made races and Rockstar-verified jobs and tracks. Even without these added activities, you can see the list of things to do in GTA Online is massive. The problem is that most players tend to stick to the new stuff, which allows the bulk of GTA Online content to become ghost towns. The vast majority of older modes are empty, making it nearly impossible to find a match without waiting 30 minutes or longer. It doesn't help that getting people to play with you is a convoluted process. Usually, I pick a newer game mode, because people are likely to want to play it. I host the lobby, make it open, and turn on "auto invite," which constantly sends invites to players across different sessions and lobbies. When another player joins, a timer starts. Once that timer hits 0, the match starts. This is crappy, because it will often lead to matches starting with only 2 or 3 players. So, I end up having to toggle the lobby between open and closed to reset the timer, crossing my fingers that other players will somehow fill up the roster. I've been playing GTA Online for so long that this whole process is just normal now. I barely even think about it, unless we are having bad luck and still can't find players. That's when my friends and I start performing rituals in the hopes they will increase our luck in finding other people to play with. We'll switch the lobby between open and closed really quickly, or change the radio station in the menu. These things don't actually help, of course, but it's better than just sitting there doing nothing. For new modes, I usually don't have to wait long, but for anything more than a few months old, I can wait for an hour and not find anyone to play with. The thing is, even after all of that waiting time, finding players doesn't fix the issue. People tend to leave after a few matches, and soon you're back to waiting. Depending on the mode, there are nights where I probably spend more time looking for a match than playing. Actually, you might spend a long time watching clouds go by while filling up lobbies, too. This is gripe players are always talking about on sites GTAforums, Reddit, the Steam forums and elsewhere. GTA Online is a hugely complex game and I'm not a game developer or anything, but after playing this game for so long, I'm hungry for a fix. While the double cash and experience events that Rockstar runs each week help popularise certain modes, more can be done. A possible solution to this problem is removing content, or at least providing rotation of modes, like what you see in Splatoon 2. The game needs something that would help funnel players into specific modes. 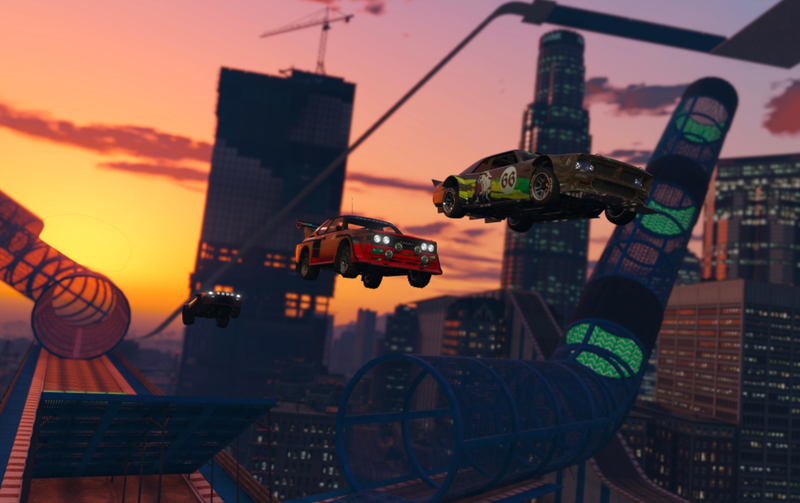 Popular modes like heists, and popular stunt races should be permanent, but everything else needs to be tweaked somehow. Another wrinkle is that many of the modes in GTA Online don't pay out very well outside of double cash events. And considering how important money is in GTA Online, it makes sense that a lot players favour modes that pay out large sums at a more frequent rate. Increasing the payout across modes seems like a sensible solution, a step that might encourage people to try out more stuff. For now, the best way to get around lousy matchmaking and empty lobbies is simple: Invite some friends. The game has been out more than 4 years - it's amazing that anybody is still playing it at all. Just having a few under-populated game modes really isn't that bad. Its like any game really. Battlefield for example is CTF and thats it. (xbone) Shame, Rush was always my favourite mode. The need to grind money as fast as possible means that the focus has always been on the fastest way to get the best return. Many will recall when race grinding was key, then charging though select contact missions. This is purely RockStar/Take5's fault. Playing for fun and progression have become two different things. I'm happy to jump on for shits and giggles to muck around with friends, but if I'm grinding then it's a KPI driven process that's usually done alone to avoid distraction and only ever during events where I can see a substantial payout for my efforts. This 100%. Lvl 430+ been playing since day 1 on 360, then x1 & pc. If you want money, grind contact missions and heists these days. Everything else is just for fun. Not Pro tip about tiny racers: get 3 friends and just play with them. You'll never find randos that want to play more than 3-4 races in a row, as the time for pay investment is soooooooo low. The heists insta-fail on player timeouts has put me off them basically forever. And the cheating scum have put me off playing with ransoms. So i solo basically everything I do. I'd play with friends but everyone I know is either on a console or has no interest in the multiplayer parr.